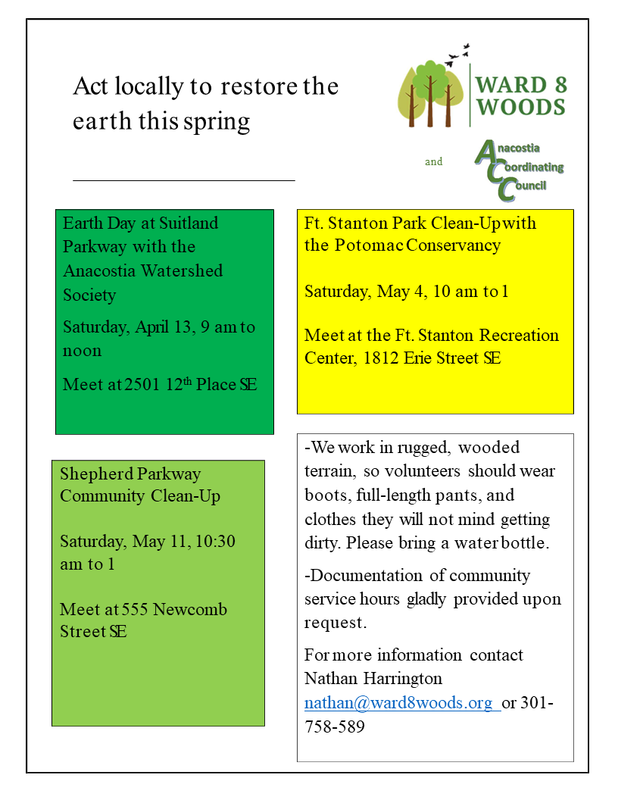 In close collaboration with the Committee to Restore Shepherd Parkway, the Anacostia Coordinating Council (ACC) is part of an effort to increase home-grown stewardship, jobs, and pride in our local parks. Through a grant from the DC Office of Planning and DC Department of Energy and Environment, Ward 8 Woods has emerged to bring energy to these goals. Scattered neighborhood communities in Ward 8 can start unifying to share concerns and celebrations with the help of revitalized civic associations. Members of the Anacostia Coordinating Council (ACC) are reaching out to the Hillsdale and Bellevue neighborhoods to rebuild their neighborhood leadership. We hope to establish new civic associations so residents can address public safety, living environments, and locally sponsored events such as parades, fundraisers, and holiday celebrations. Read news coverage of our efforts. Following the murder of journalist of Charnice Milton, we partnered with her parents, Kenneth and Francine McClenton to bring awareness to unsolved homicides in the District of Columbia to encourage community members to come forward with information that may bring their murderers to justice. Cosponsoring the annual Dr. Martin Luther King Jr. Parade and Peace Walk in Ward 8. Cosponsoring monthly Ward 8 Faith Leaders Breakfast Meetings with the East of the River Clergy Police Community Partnership, and the Far Southeast Family Strengthening Organization. Assisting the Korean American Grocers Association (KAGRO) in identifying Ward 8 high school students to receive college scholarships. Promoting and supporting the Theater Alliance productions at the Anacostia Playhouse. Cosponsoring of the Ward 8 City Council candidate forum with the DC Federation of Civic Associations and the Thurgood Marshall Academy Public Charter School. Lead organizer of the Ward 8 Collaborative City Council Forum at Ballou High School , which involved 35 community organizations. Collaborated with the Anacostia Waterfront Trust of the Federal City Council to raise community awareness of the Anacostia River and Anacostia Park. Cosponsoring of Ward 8 National Night Out Against Crime. Cosponsoring of the Annual Anacostia Back-to-School Block Party. Cosponsoring of the Annual Mother’s Summertime Tea at the Willard Hotel, which is an event organized to promote healing among families affected by violence and homicides. Lead organizer of the Annual Ward 8 Baseball Outing, which takes 200 Ward 8 youths to the Washington Nationals baseball game. Sponsoring the Annual Ward 8 Multicultural Holiday Celebration and Youth Gift Drive at the Anacostia Playhouse, which raised gifts for the Seventh District Metropolitan Police Department’s Annual Holiday Party for Youth at the Panorama Room in Anacostia. Here is an overview of events and projects that the Anacostia Coordinating Council will be engaged in during 2019. The list is chronological by type of event or project type. Please mark your calendars and join us!